Senior housing sales and marketing teams are continually trying to perfect their process—but new evidence suggests that there’s far more work to be done. On average, senior housing communities and skilled nursing facilities miss 19% of their incoming phone calls every day, according to new data published in the 2017 Sales & Marketing Benchmark Report from Enquire Solutions. And that number of missed calls doesn’t include those that get sent to voicemail. For the report, Enquire—a Colorado-based customer relationship management (CRM) and contact center solution for the senior housing industry—analyzed more than 1.3 million new inquiry and referral records from more than 2,700 senior housing communities and skilled nursing facilities in the U.S. and Canada. Notably, communities can’t blame the high volume of missed calls on bad timing or inadequate staffing. That’s because missed calls take place just as often during the day when facilities and communities are fully staffed as they do in the evening, when fewer employees are at work, the data show. “When we’re fully staffed, we’re still not doing a great job,” Erin Hayes, chief revenue officer at Enquire Solutions, told Senior Housing News. Though it’s been argued that the future of senior housing sales will be digital, the old-fashioned telephone still reigns supreme in many ways. Call-ins, for instance, continue to comprise approximately 25% of total inquiry volume for senior housing communities, the report says. Call-ins are especially key in independent living. The greatest amount of independent living move-ins in 2017—39%—resulted from call-ins, followed by unpaid referrals at 35%. The vast majority of the calls to senior living communities—89%—take place on weekdays. The most popular day for call-ins, on average, is Monday, the report says. All the while, web form inquiries are gaining in popularity amongst prospective senior housing consumers. On average, web form inquiries comprised 25% of total inquiries for senior housing communities in 2017. Since 2012, web forms as a percent of total inquiries has risen 177%, according to Enquire. Still, in assisted living and memory care, unpaid referral sources result in the largest amount of move-ins, at 36% and 40%, respectively. On average, the sales cycle—or the number of days between an inquiry and the move-in—is the longest for life plan communities at 344 days. The average sales cycles for independent living and assisted living/memory care are shorter, at 208 days and 137 days, respectively. 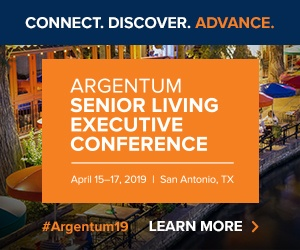 Consequently, sales teams will need to strategize differently depending on whether their clients are interested in independent living or a more needs-based option, like assisted living. It will likely take more time and face-to-face contact to secure an independent living move-in than to secure an assisted living move-in. It takes 25 total touches to achieve an independent living move-in, four of which are face-to-face, the report says. In assisted living, it takes 15 total touches, three of which are face-to face. It’s important to remember that the amount of time spent on a lead can make or break a move-in, Hayes suggested. “He who follows up gets the deal,” she said.